Compact, bushy, upright growth. 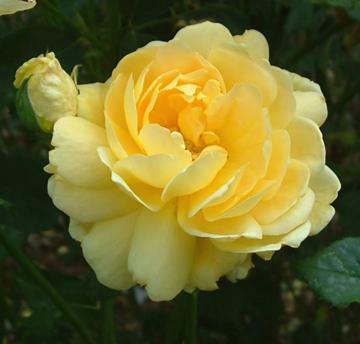 Rich yellow, fragrant, double flowers, produced continuously during summer. Gold medal winner at the Royal National Rose Society?s rose trials.